MLS, short for Multiple Listing Service, is a comprehensive property database, which makes the process of getting information about properties for sale/ rent simple and convenient for the buyer, seller, real estate agent, and anyone else involved. Lone Star Realty is a property management company that specializes in homes in Killeen TX and the surrounding region. We provide MLS to our clients, which goes a long way in expediting the process of selling, buying, and renting home s.
To put it simply, MLS is an orderly correlation of information regarding houses, shared among real estate professionals. Data regarding a home that is available for sale is put up on the MLS by a listing broker, and a broker who brings abuyer is entitled to receive a commission for the deal. This makes it a win-win situation for everyone involved, saving time and resources. The online software that is used in an MLS makes it possible to view detailed information regarding the house, including the address, square footage, age, number of rooms, etc. You can even get information about school districts and upgrades, as well as the financing options that the seller is open to. Viewing a home on an MLS gives you a clear idea of what to expect, since you can view multiple pictures taken from various angles, and you can even take a virtual tour if one is available for the house you are viewing. MLS authorities have a strict set of rules and regulations that aim at ensuring that all the data provided on these websites is accurate, wide in scope, and not outdated. Most of these services do not encourage FSBOs (For Sale by Owners), making it necessary to use the services of a real estate broker to add your listing. Lone Star Realty steps forward to make this process easier for you, helping you to benefit from the convenience offered by an MLS listing. Whether you are looking for rentals in Killeen, or would like to sell or buy a house, we shall w you can use MLS to your best advantage. We shall start with a clear understanding of your needs and budgets, and shall then design the right plan, working around our MLS services, to ensure that you get what you are looking for. Contact us today at (254) 699-7003 for more information on how MLS can work for you. It is essential to find an experienced property management company so that you invest your money in renting a good home in Killeen TX. There are hordes of real estate companies in the market and it is imperative to find the correct one. The process of buying, selling and renting is not as easy as it seems. So, professional help is definitely required in these matters. 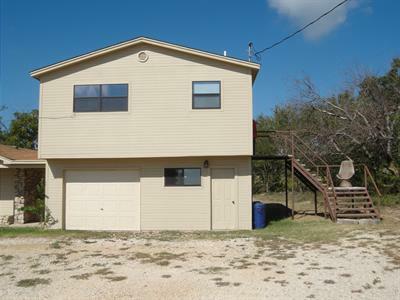 You can find the best and most economical property for yourself only at Lone Star Reality. We will address all your property management needs in a very efficient manner. Our dedicated team of professionals will assist in all your queries regarding to a particular property that you are interested in. One of the major highlights of the services offered by our company is the virtual tour of different rental properties. Prospective tenants can actually see the property before renting it. We generate a feedback based on this information and this helps to determine the market value of each property. If you are thinking of renting out a property, we will make sure that you receive the rent on time. We do this by doing a thorough screening of the tenants before they actually rent your home. The verification process is a strict one and we authenticate all the information provided by the prospective tenants. This includes information related to age, income, job background and criminal records etc. The extremely experienced staff at Lone Reality is adept at providing high-quality property maintenance services. We ensure that your property does not get damaged in any way and therefore conduct routine maintenance checks without charging a single extra penny. With our company you can be rest assured that no harm will be done to your property. We conduct inspections after every six months in order to see that the tenants are using the property in a responsible manner. If we come across any such issue, our company immediately starts working towards resolving the same. If your property is not occupied and is lying vacant, we will make all efforts to get it rented out as soon as possible. Our carefully planned advertising and marketing techniques ensure that no rental remains unoccupied. We have made huge amount of investments in the online media and advertise the rentals through this medium. In this era of Internet, an online presence is very beneficial to attract prospective tenants. We charge what we say and there are no hidden charges such as renewal or maintenance fee etc. Come and visit our office or browse through our website to know all other pertinent details.